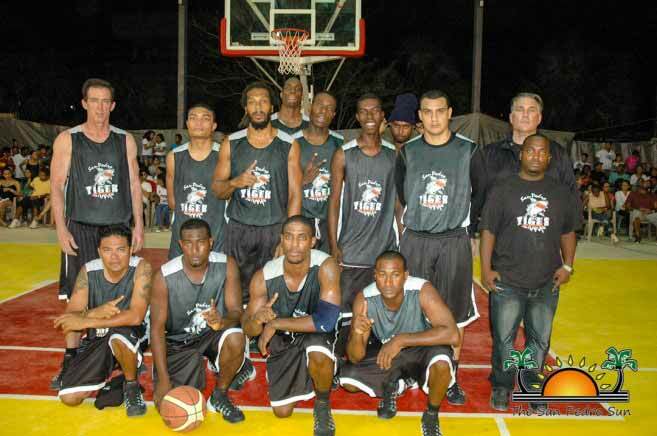 The San Pedro Tigersharks Basketball team has made it to the finals of the National Elite Basketball League (NEBL). 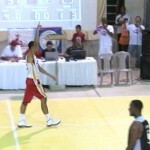 The home team won their ticket to the finals after sweeping the Belmopan Point Bandits. The Tigersharks won 2 straight games out of 3, with the second playoff victory landed on Friday May30th at the University of Belize, Belmopan Campus Gymnasium. 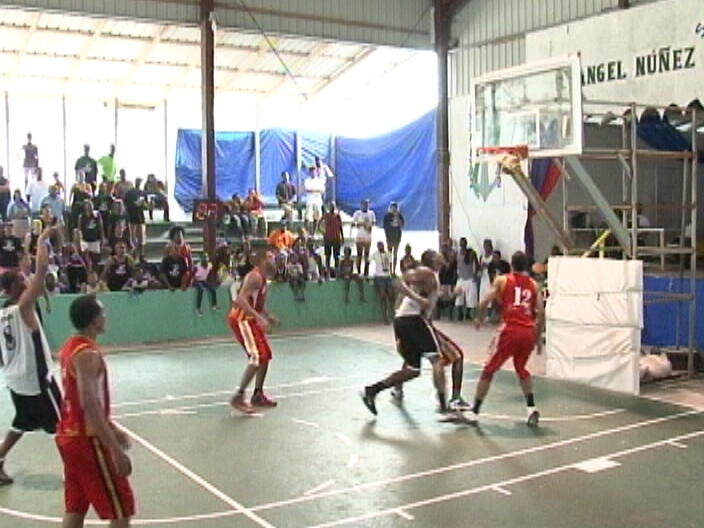 The winner of Friday night’s game will play the San Pedro Tigersharks in the NEBL finals. The first of the three final games is scheduled to be played on Sunday June 8th at 1PM at the Rafael Angel Nuñez Auditorium. Everyone is invited to come out cheer for their favorite team. Tigersharks fans are being asked to wear black T-shirts to show support to the home team. The San Pedro Tigersharks game scheduled for Sunday, June 8th at 1PM at the Rafael Angel Nuñez Auditorium has been postponed. We will announce the new date and time when it comes available. 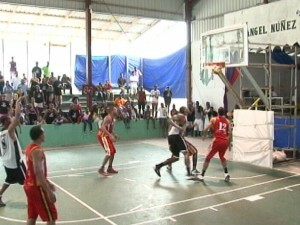 In the National Elite Basketball League, Game 1 of the finals took action on the Tigersharks home court in San Pedro. Let’s take a look at the first half of the ballgame. 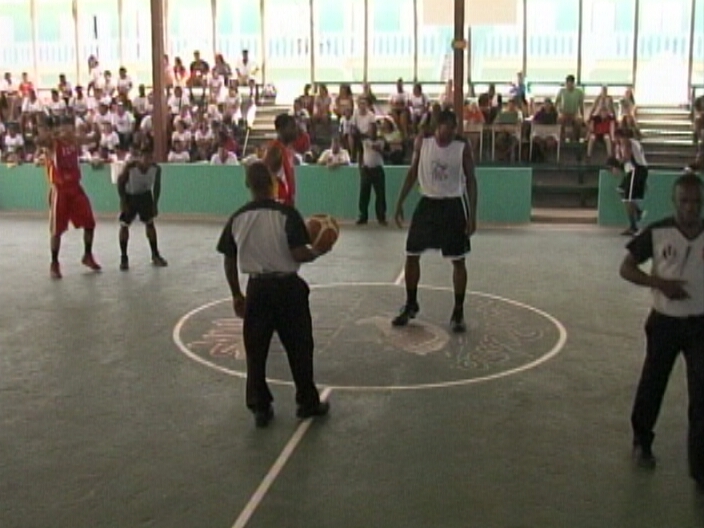 Darwin Leslie, Tyrone Edwards, Winston Pratt, Ashton Edwards and Michael Adams were the starting 5 for the home team. Ivan Flowers, Farron Lauriano, Richard Troyer, Travis Lennan and Kurt Burgess started for the Cayo Western Ballaz. Tigersharks wins the tipoff and tries to score the first basket but Farron Lauriano won’t have it as he comes up with this big block on Tyrone Edwards. As the Tigersharks try to set up this play, Ashton Edwards who sends it to Darwin Leslie who immediately passes to Winston Pratt, Pratt goes up and is fooled…he goes to the line for 2 and sinks 2 of his 14 points. Richard Troyer puts up this 3 point shot but misses. Lauriano grabs the rebound to keep the ball alive for the Western Ballaz. Troyer tries the 3 point shot again and this time, its cotton! Close to the end of the first quarter, the Tigersharks are up by 3. In the second quarter, Lauriano starts to show his scoring ability when he puts up this jump shot! Count it for 2 of his game high 20 points. Coming down to the next end of the ball court, Pratt pushed this ball to Edwards and he sinks this jump shot. At the end of the second quarter the Tigersharks are now up by 6. Jamal Kelly comes off the bench and drives this one to the basket for 2 of his game high 10 points. Seven minutes 33 seconds remaining in the second quarter and the Tigersharks are still up by 6. Elroy Willis passes this one to Lauriano inside the paint. His first attempt fails but he goes up for the rebound and tips this one in. Jamal Kelly takes this one directly to the rim. Winston Pratt puts up the 3 point shot which bounces off the rim into the hands of Kurt Burgess. 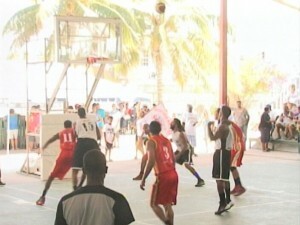 The Western Ballaz defeated the Tiger Sharks 74-67 Friday night in the 2nd of the 3 playoff games. They will be playing in San Pedro today at 9:30 in the last playoff game. Pictures on fb. Goooooo Tigersharks!!! 1st ever NEBL Champions!!! Awesome game and win at home!!! 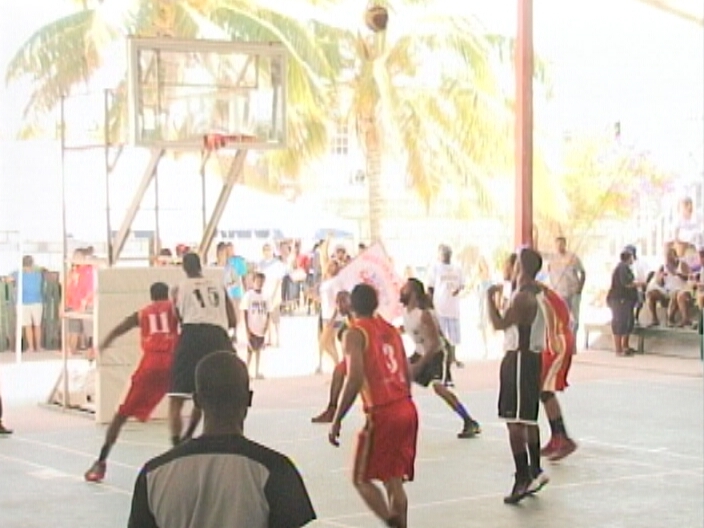 In the National Elite Basketball League, 2 games were played over the weekend. In game 2 o the finals, Western Ballaz tied the series 1-1 beating Tigersharks 74-67 forcing a 3rd game to decide the champions. Richard Troyer lead the Western Ballaz with 29 pts, 15 rebounds followed by Farron Louriano and Kurt Burgess with 16 pts each. For the Tigersharks, Winston Pratt scored 19 pts followed by Micahel Adams with 12 pts. In the championship game played in San Pedro, let’s jump straight into the fourth quarter of the action. Darwin Leslie tries to drive to the rim, spins on Johan Bermudez and temporarily loses possession when Farron Louriano gets a hand on it. Leslie regains possession and passes to Michael Adams. Adams goes to the rim and misses. It is Ashton Edwards with the rebound and one as he is fouled by Johan Bermudez. Edwards goes to the line and sinks the free throw. Here we see Edwards again coming off the screen set for him by Leslie as he lays this one up for 2 of his game high 22 pts. The Tigersharks seemed to have been playing a fast passing game. Leslie to Edwards, Edwards to Penland, Penland to Adams as he tries to smash this one, but didn’t quite get it right. Meanwhile, on the other side of the court, Ivan Flowers bounce passes this one to Louriano; Louriano goes to the rim and Michael Adams comes up with this big block for the Tigersharks. Looks clean to me, but the referee blows foul on Adams. Louirano goes to the line for 2. The Western Ballaz are in foul trouble…on this long pass to Edwards, Flowers fouls him and sends him to the line for 2. Edwards sinks both shots. Coming down to the last play of the game, Troyer gives this one away to Edwards. Ashton Edwards to Tyrone Edwards, Tyrone to Adams and Adams with the big dunk. The Tigersharks fans go wild. 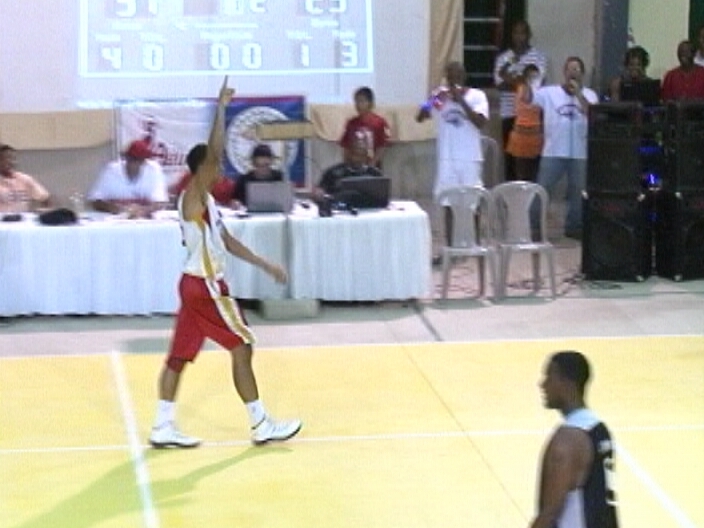 National Elite Basketball League Champions are the San Pedro Tigersharks winning the final game 60-52 over the Cayo Western Ballaz. 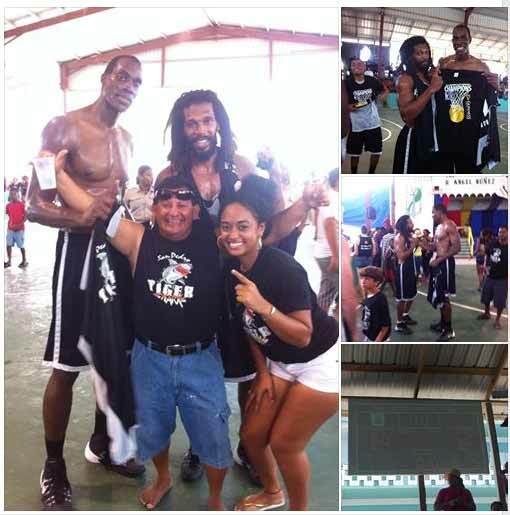 The San Pedro Tigersharks are the 2014 Champions of the first ever National Elite Basketball League (NEBL) hosted by the Belize Basketball Federation (BBF). The islanders claimed the much coveted title at game three of the finals on Sunday June 22nd at the Rafael Angel Nuñez Auditorium after they faced the Cayo Western Ballaz. The championship win was a rebound after a loss against the country’s western basketball powerhouse on Friday June 20th in San Ignacio, Cayo. In the entire NEBL 2014 season, the Tigersharks had the best the record; they only lost twice in the regular season, and once in the finals. 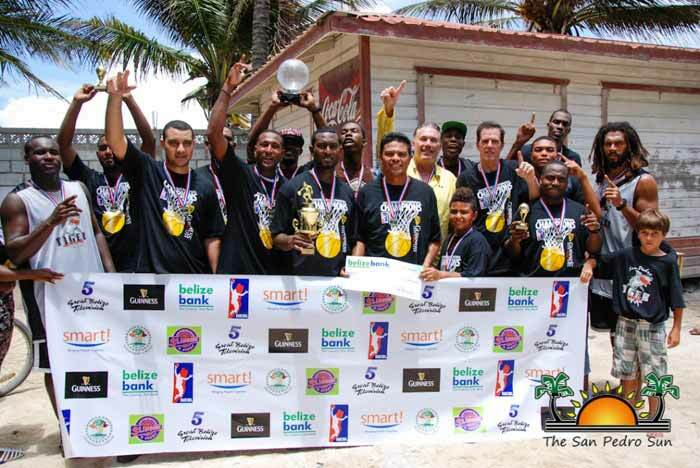 Beside the 2014 NEBL Championship title, the San Pedro Tigersharks walked away with a cash prize of $20,000, the championship trophy and individual medals. The San Pedro Sun, the only media house that followed the Tigersharks throughout the season, joins the community in congratulating the San Pedro Tigersharks.